Pine Haven Christian Communities Mission Statement - Pine Haven Christian Communities will provide the aging population we serve an environment that is a Christ-centered, safe haven offering quality, compassionate care. 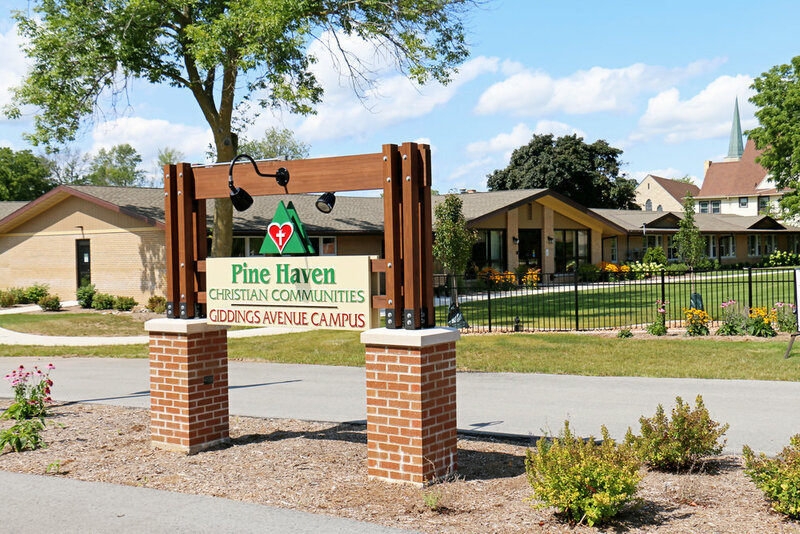 Pine Haven Christian Communities has been serving Sheboygan County’s seniors since 1950. We have grown to three campuses offering the full continuum of care-various levels of assisted living, memory care, skilled nursing, rehabilitation and respite services. We are a non-profit senior living facility providing quality, compassionate, Christ-centered care. Our goal is to enrich our residents’ lives by fulfilling their physical, spiritual and emotional needs. We do this by living by our Mission, Vision, and Values, every single day. Pine Haven Christian Communities will provide the aging population we serve an environment that is a Christ-centered, safe haven offering quality, compassionate care. We are called by God to be of service to others, and in our efforts, we will constantly seek God’s guidance. We will provide services with Christ-centered love, compassion and excellence and through our efforts, our residents, their families, our staff, and volunteers will feel love, comfort and peace of mind. We will provide a range of flexible innovative services and living options through our continuum of care that are tailored to meet the needs of individuals within our facilities, churches, and community. We will manage our resources carefully, allowing us to fulfill our commitment to Christian benevolence, and we will always remember that we serve in Christ’s name. Be good disciples of the Christian principles of love, caring, justice and service to others as found in God’s word so that the business we conduct each day may be pleasing in His sight. Show compassion, as taught by Jesus Christ, in the way that we serve our residents, their families, churches, and our coworkers with kindness and mercy. Love one another by trusting, forgiving, and being patient and kind as we serve the needs of others. Show respect for each other by recognizing that we are all created in God’s image and by maintaining relationships based on honesty and the protection of individual privacy. Commit, with a willing heart, to serve our residents and their families by contributing to the full extent of our gifts and abilities as God has provided. Provide the highest quality care, by trained professionals, to those entrusted to us in such a manner that they not only know that we care for them but that we care about them.